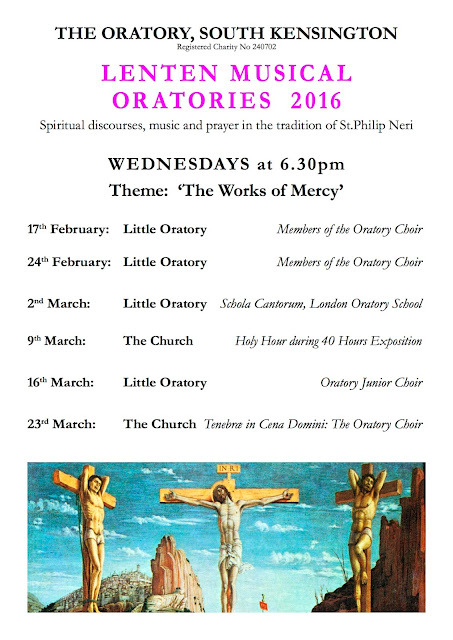 Lenten Musical Oratories begin this evening at the London Oratory. These services, held at 6.30pm on Wednesday evenings during Lent, last a little over an hour and combine music with spiritual discourses, prayers and hymns. The Lenten Oratory on 2 March, sung by the Schola Cantorum of the London Oratory School, will include music by Byrd, Morales and Tallis, and the service on 16 March, sung by the London Oratory Junior Choir, will include works by Dering, Gagliano and Perosi. Both the Schola and Junior Choir will be singing in a performance of J.S. 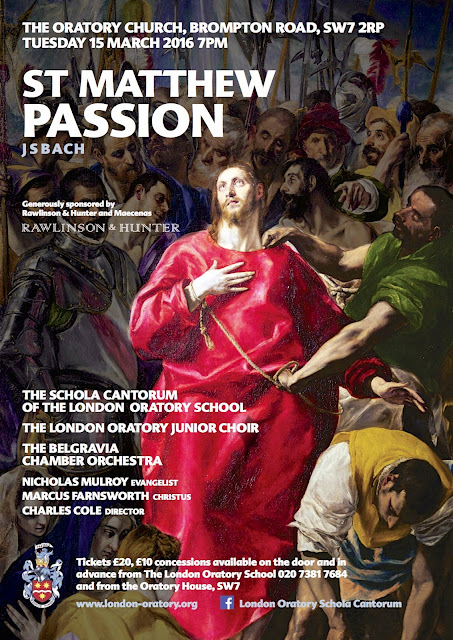 Bach's St Matthew Passion at the Oratory on Tuesday 15 March, see below for details.